Spent a windy night north of San Luis Obispo before making the glorious pilgrimage down the coast to Big Sur, CA. Oh, and got kicked out of two camping spots twice in one night…cheers, Central California. 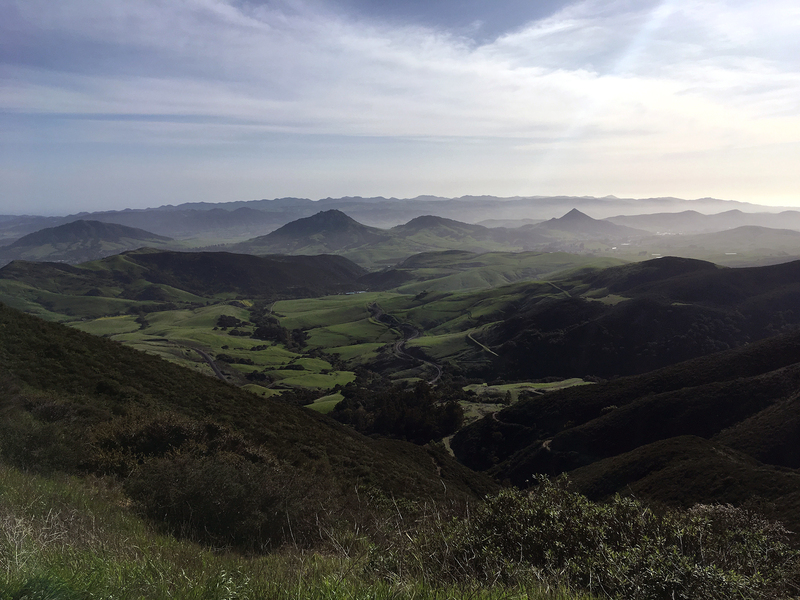 Sure, San Luis Obispo is more so part of Southern California but heading that way marked the end of the desert and the beginning of the lush, grassy mountains that would continue up the rest of the glorious California coast. We got word of a spot amongst the mountains that was supposed to be beautiful, but a little on the windy side. After our Drumheller experience, we laughed off 40 mph gusts since we managed a night of nonstop 100 km/h winds on the edge of a canyon just fine. By “fine” I mean we were terrified but ultimately, didn’t die or do any damage to the van – score! Anyway, we headed up the winding dirt road and spoke to a couple people who had stayed where we were the night before and were on a mission to find a spot higher up the mountain in hopes of a less windy night. We’re not afraid of a bit of wind! Let’s stay! The view was spectacular, after all. We spent the evening hanging out with a fellow Canadian traveller when the wind started to pick up. By the time we went to bed, the gusts were gaining momentum so we just parked on a different angle and settled in. Fast forward a few hours and it sounded like every bolt holding the roof on was hanging on for dear life. We were rocking like a canoe and not in a peaceful lullaby kind of way. No big deal – we’ll just move the van a bit further in to be shielded by the nearby mountain. The amount of wind blowing into the front of the van kept choking it out so it was a challenge in itself just to get it started but eventually, we found sweet salvation and went back to bed. Ok, now fast forward another couple hours and the wind changed direction drastically so we had to move again. This time, we saw 3 or 4 other campers trying to find a new spot as well – it was 4:30 AM so I don’t think they were just trying to get a head start on their day. We ended up having to drive down the same skinny dirt road that was sketchy enough in the daytime and ultimately parked at a trailhead beneath a “no overnight camping” sign. We managed to get a couple hours of sleep before the area became a construction site with bulldozers and other noisy machinery out to re-grade the road – restful night! Take the wind out of the equation and this is a beauty spot! 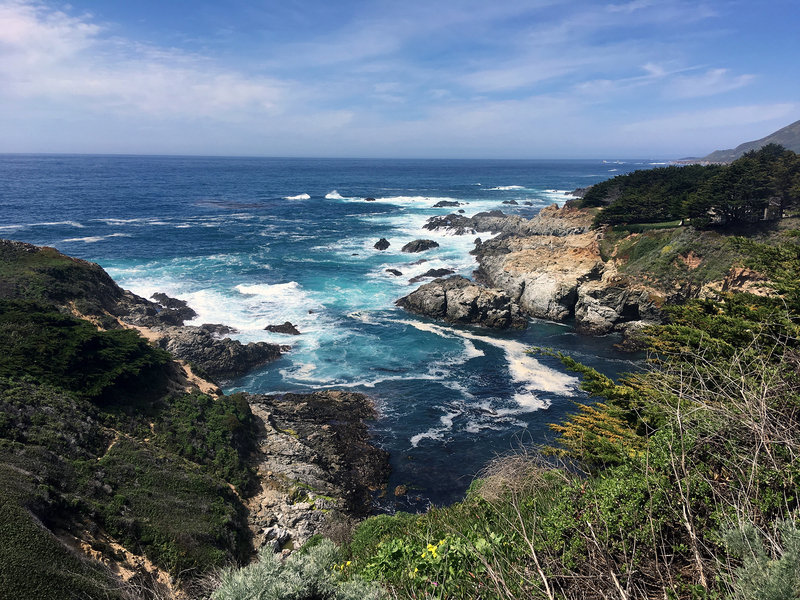 The next leg of our journey was what I had been waiting the whole trip for: driving down California’s Highway 1 to Big Sur. Normally, we could have started in San Luis Obispo and gone all the way to Monterrey but a portion of the highway was closed due to a mudslide so we had to take the 101 to Monterrey before going as far south as the highway would allow. The road was closed at Gorda so despite not being the most efficient route, it was pretty great to drive the coastal highway south and north to see it from both angles. Sometimes seeing those stunning views from the rearview mirror just doesn’t cut it. If you’ve done this drive before then I don’t need to remind you of how beautiful it is but if you haven’t, this is my not-so-subtle nudge to start planning a way to do it. From the roaring coastline to the sandy beaches and everything in between, the entire drive is absolutely breathtaking and evoked an emotional response within me. Everything is rich with life and smells fresh and vibrant to a point where you can just stand in one spot and be overwhelmed with peace and joy. Just like Southern California however, the views are clouded by trash, which is so sad to see. We then disappeared into the forest and made our way to the Henry Miller Memorial Library. Miller is one of my favourite writers and along with some other beatniks, was the reason I knew Big Sur would be so special. 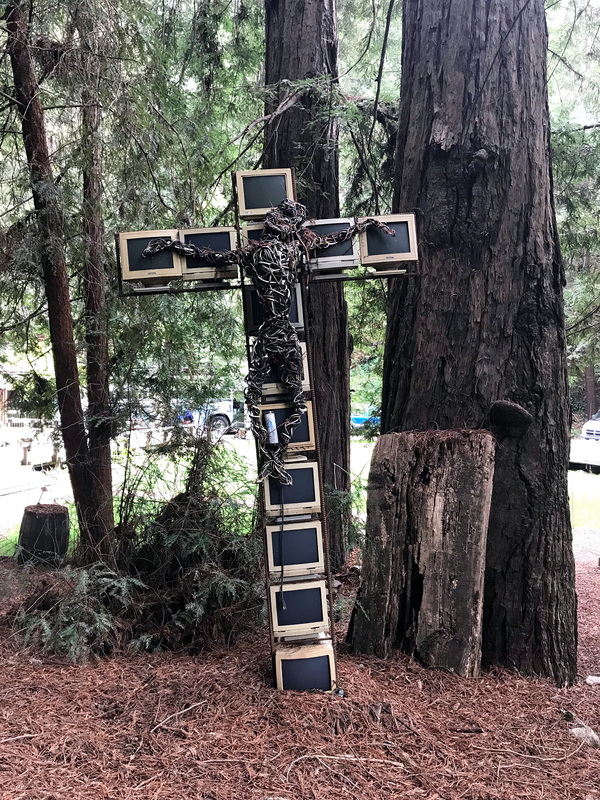 The “library” is self-described as the place “where nothing happens” and delivers on being a peaceful retreat surrounded by obscure garden art and towering redwoods – and books, of course. If you like playful cats and having a cup of coffee in the forest, then it’s worth stopping in. 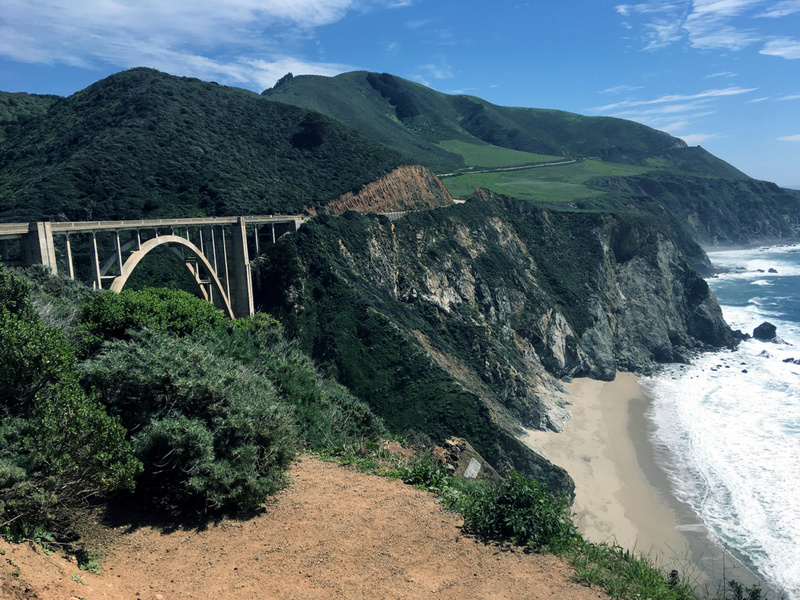 On the entire drive down to Gorda, we were keeping our eyes peeled for forest roads that we could potentially camp on since this part of the coast borders Los Padres National Forest. 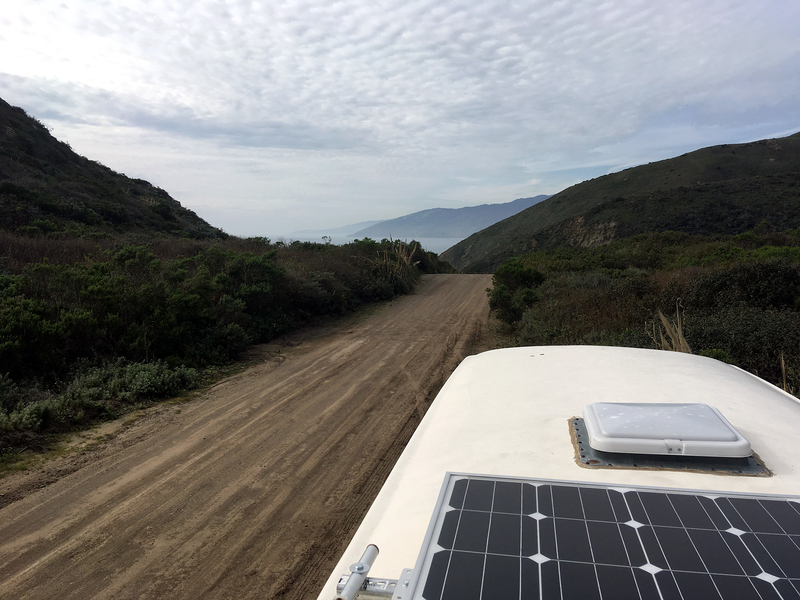 You’re pretty much SOL anywhere north of Big Sur, but there are a few forest roads close to Gorda that are relatively unmarked and make for some great dispersed camping. We pulled onto Los Burros road, where we passed plenty of other campers doing the same thing. This road eventually leads to Naciemento-Fergusson Road where we read that you’re no longer allowed to camp on, BUT has some other dirt roads off of it that seem to be fair game. I spoke to the dude giving info at the Gorda highway closure and he said that he believes you’re allowed to camp on Naciemento going southbound, just not northbound but he wasn’t entirely sure. The forest roads are worth exploring if you’re up for it! Being able to wake up in the quiet, grassy mountains to a view of the ocean is just the best. We spent the next day exploring some of the parks and soaking in all that fresh salty air. The McWay Falls in the Julia Pfeiffer Burns State Park is pretty much what I think of when I imagine what paradise is supposed to be like. Unfortunately you can’t access the beach from there so we headed to Pfeiffer Beach where we walked in the purple jade-filled sand and watched the ocean crash onto the rocky shore. Certainly not a sunbathe-in-the-sand-with-an-umbrella kind of beach, but an amazing place nonetheless. Keep an eye out for the only unmarked paved road without a gate in between the post office and the state park to access its hidden entrance. 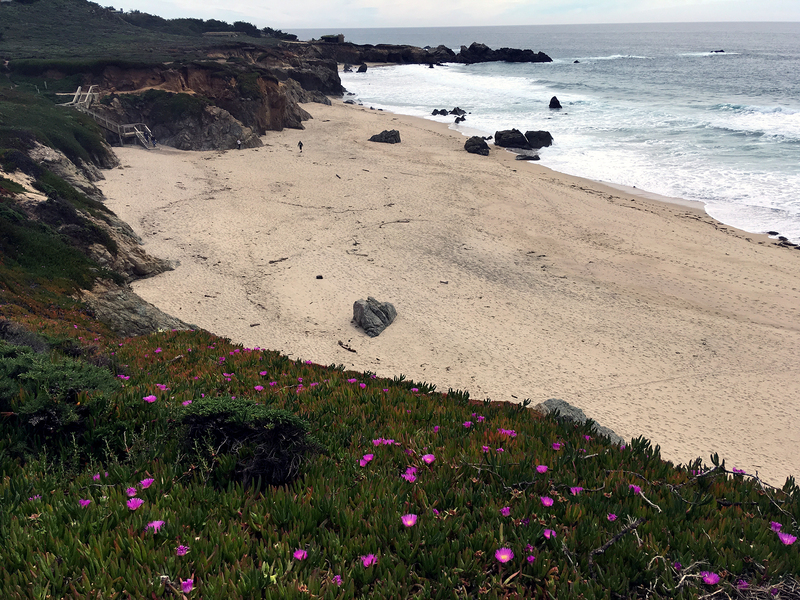 After leaving Big Sur, we found a little street close to a beach in Moss Landing where we’d heard is a good place for an overnight but ultimately ended up getting kicked out by the police. Fun! We sought out an RV-friendly Walmart and hunkered down for the night in the comfort of being surrounded by 5 or 6 other big rigs (you generally know it’s a safe bet when there’s a 40ft RV with a tow trailer parker already). Around 12:30 AM, we got a knock on the window by Walmart security who then asked us to leave before the tow trucks arrive. Double fun! In the several months that we’d been on the road by this point, we’d never gotten kicked out of any spots (other than by the wind) until it happened twice in one night. 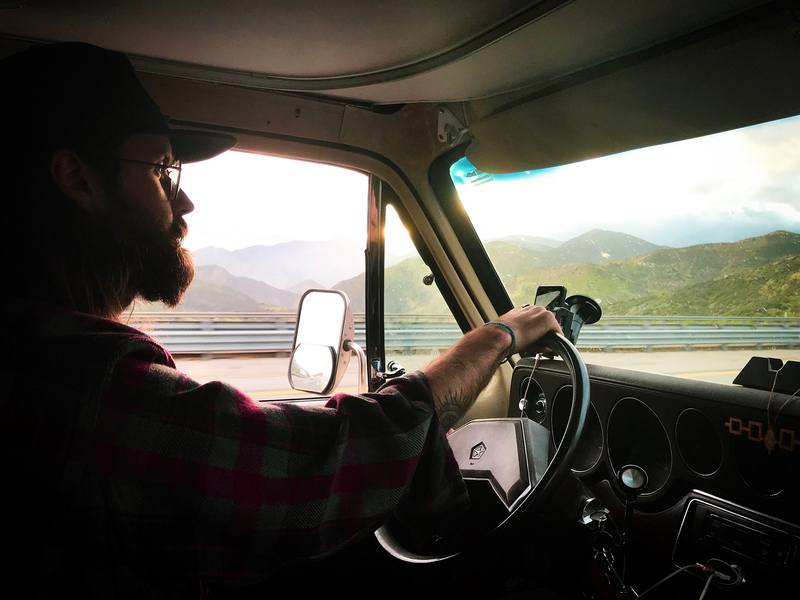 This is a reality of van life and sometimes you’ve just gotta roll with the punches and keep moving. Lots of people are under the impression that all Walmarts are cool with overnight camping, but with all the inconsiderate litterbug RVers and increased insurance costs, many Walmarts are transitioning over to no longer allowing it. As with all spots, try and do your research first and note that it’s always courteous to ask permission if you opt for a Walmart. Out of desperation, we ended up at a Flying J in Salinas that is plastered in 2-hour parking signs. Luckily by going in and asking, they gave us special permission to stay the night. 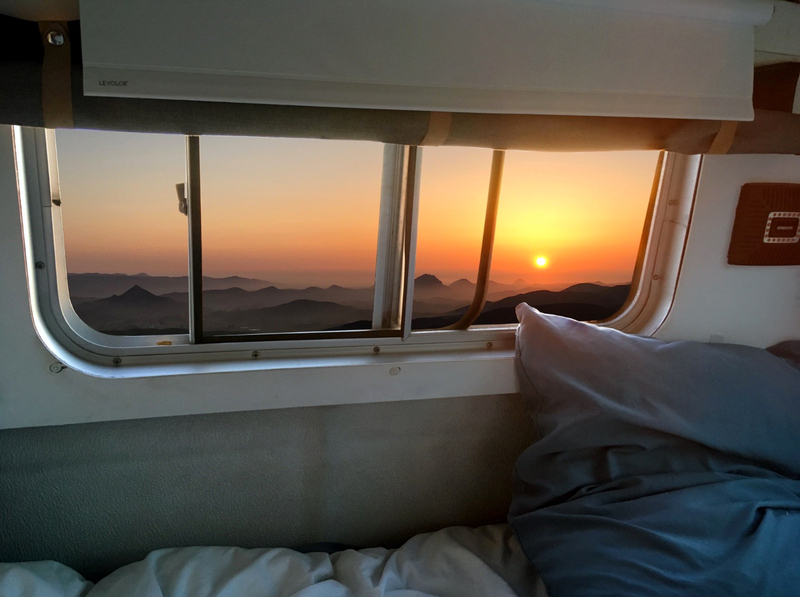 Central California really brought its A-game when it came to views but also gave us a run for our money when it came to boondocking. Taking the good with the bad is all part of it and makes for a funny story. After all, you can’t be that surprised that people don’t want you staying on their property for free all the time – if anything, it makes you appreciate all those really awesome successful spots even more!